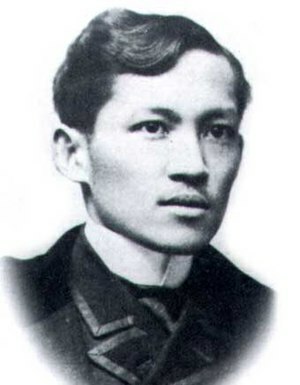 Filipinos all over the world will mark the 116th anniversary of the execution of national hero Dr. Jose Rizal this December 30, 2012. The day, which this year falls on a Sunday, is a national holiday according to Proclamation 295 which was signed by President Benigno Aquino III in 2011. The annual commemoration of Rizal’s martyrdom began even before he was officially declared the county’s national hero by the Americans. According to the National Historical Commission of the Philippines, Emilio Aguinaldo made a decree in 1898 which made December 30 of each year a national day of mourning not only for Rizal but also for all victims of the Spanish government during their three century reign in the country. American Governor General William Howard Taft officially made the said day a public holiday in 1902 by signing Act No. 245 in 1902. Three years ago, House solons led by Reps. Raul T. Gonzales Jr. (Lakas-Kampi, Iloilo) and Jaime Lopez (Lakas-Kampi, Manila) filed a bill that would have moved the commemoration of Rizal Day from December 30 to June 19, which is his birth date. Supported by then-National Historical Institute Chair Ambeth Ocampo, the bill was approved by the House of Congress but it did not get any traction in the Senate. As the country marked the hero’s 150th birth anniversary, Senator Ferdinand “Bongbong” Marcos Jr. filed a similar proposal but just like in the previous attempt, his bill seems to be gathering dust too.